DNA tests were hot sellers on Black Friday, but don’t worry if you missed any of those deals because we have good news: Cyber Monday’s DNA test kit deals are even better! 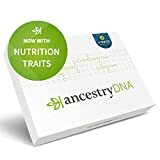 Snag the insanely popular $100 AncestryDNA: Genetic Testing Ethnicity kit for just $49, or add genetic traits testing as well for another $10. 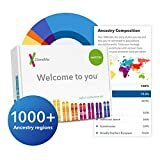 The $100 23andMe DNA Test – Ancestry Personal Genetic Service is nearly as popular, and it’s on sale for just $59 today as well. Last but not least we’ve got the MyHeritage DNA Test Kit – Ancestry & Ethnicity Genetic Testing, which typically sells for $75 but is down to $49 for Cyber Monday 2018. All of these prices are only good until the end of the day on Monday though, so grab them while you can! 150+ ancestry regions worldwide broken down to the 0.1%. Discover when different ancestries were introduced into your DNA.